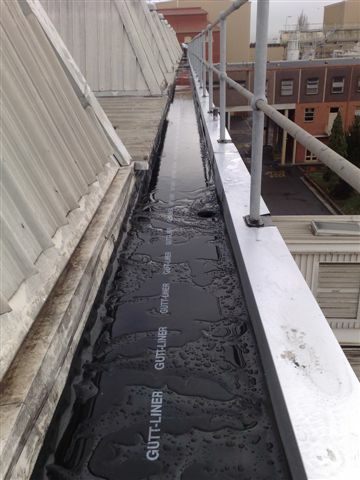 GUTTA-LINER is a specially designed polymer liner for relining Box Gutters. Because it is flexible and installed in a continuous length there are no joins. Therefore it never leaks! Pay invoices, using our online G-Pay service. Choose bulk 100m or short lengths of GUTTA-LINER at Gutt-Shop. .
Includes TOLL/IPEC charges delivered any where in the country. Sorry :( your browser does not support HTML5 audio.